Iter Īcarī was inspired by CPLI’s Pauvre Anne series, which I’ve always enjoyed using in my French classes. The series takes a good range of TPR and TPRS vocabulary, adds a dash of plot and high-frequency extra words, and offers a great cumulative reading experience for my French students at all levels. I wanted my Latin students to have the same experience, but I wanted it to be tailored to a Latin-specific range of vocabulary and culture. The result was Iter Īcarī, a tale that begins with the myth of Daedalus and Icarus and ends centuries later at the Nashville Parthenon. 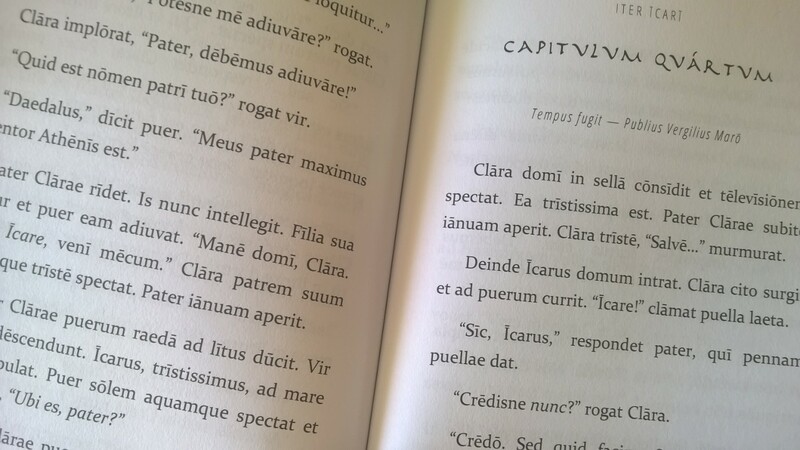 The story uses classical and modern conversational Latin and all the typical structures found in a first-year Latin curriculum, including a famous quote from Latin literature at the start of each chapter. 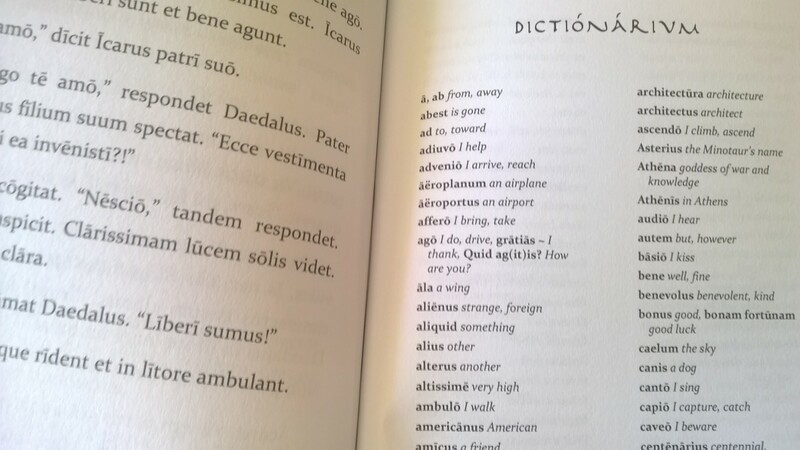 A full Latin-English glossary accompanies the text. Clara and her family don’t see anything. They don’t understand, but they see a bright light. Soon the temple is filled with bright light. They close their eyes. A while later, Clara opens her eyes. Icarus is gone. Iter Īcarī is now available on Amazon and other online booksellers. I hope to have the next book in the series, Deus Pater, in print by next year!